Cindy Mendoza is a 2017 graduate from the School for Tourism & Hospitality (STH) in the Bronx. 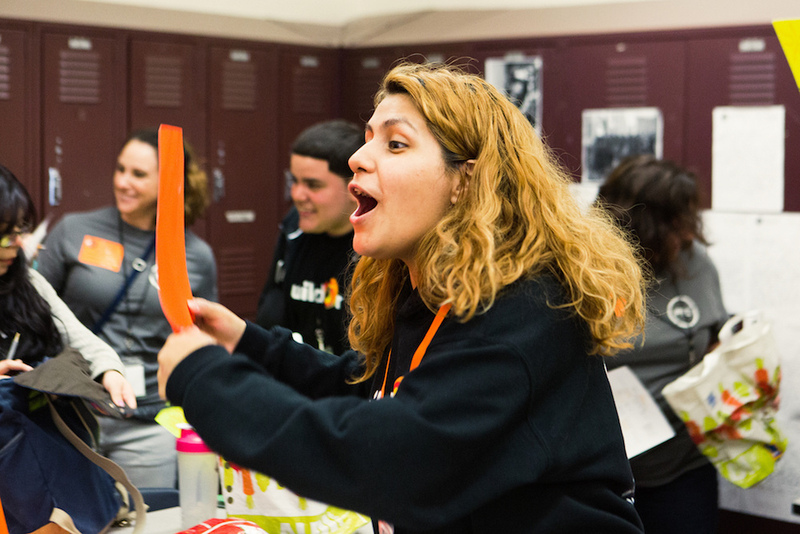 Although Cindy didn’t join buildOn until her senior year of high school, she made up for lost time by serving 184 hours with buildOn as a senior. Cindy recently shared with us why service has come to mean so much to her. I’m from the Bronx, but my parents are from Honduras. They came here to have a better life when they were around my age. buildOn has helped me in a lot of ways. It has kept me away from bad influences. It has helped me cope with things that were difficult to cope with before. Not that long ago, I was suffering with depression, and there was no way for me to control it. At that time, it was hard for me to understand why I was going through that. But when I started going to buildOn, it really was a positive influence on me. 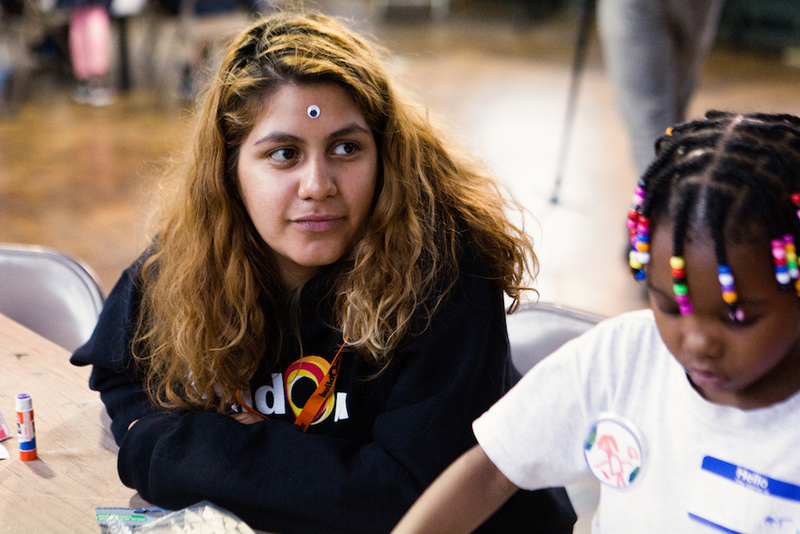 At buildOn, I didn’t feel depressed and I wasn’t having any negative thoughts. Making those kids smile, it pretty much makes my day. One of my favorite service projects is when we go to St. Margaret’s afterschool program. By going there, we are building friendships with the little kids there and being good role models for them. Making those kids smile, it pretty much makes my day. Once we go through those doors, they just always know that it’s us, and they have the biggest smiles on their faces. It feels really good to bring them joy. Service makes me feel good about myself, it makes me feel good that I have positive people around me and that we’re talking about positive things and doing positive things. I feel good afterwards when I talk about service. I’ve told my mom, and she’s even proud of me for doing buildOn. She would want to thank buildOn because it’s had a huge impact on me. This is a part of me now. This is who I am. When I was younger I had a social worker because of everything I was going through. I feel like that social worker, she didn’t do anything for me. That was kind of like a slap in the face. So now, because of that, I want to be a social worker. Because she wasn’t there for me, I want to be there for people who are going through really difficult things. Service makes me feel good about myself, it makes me feel good that I have positive people around me and that we’re talking about positive things and doing positive things. buildOn has given me that extra push for me to have the confidence that I never had before. Now, I want to help people, and also impact and inspire them. I want to help motivate other people who are going through a lot. I just feel like buildOn is amazing. It’s an opportunity that everyone should take advantage of, because it changes people. buildOn has changed my life for the better.